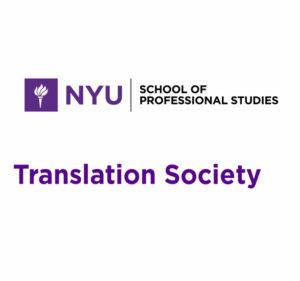 We are excited to speak to the students of the NYU Master’s in Translation program and introduce them to Red T’s advocacy initiatives. In an increasingly volatile world that poses a range of challenges to translators and interpreters, it is important for the next generation of linguists to be aware of the hazards inherent in their chosen profession. Case histories, facts and figures, policy solutions, and opportunities for involvement will all be part of the presentation, with a Q&A to follow.